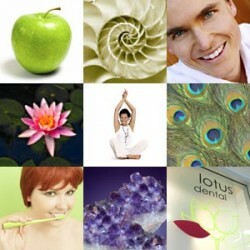 Lotus Dental is a innovative holistic dental practice in Neutral Bay. We use a holistic approach to oral care, considering the effects of the treatment on the whole body and taking individual needs and requirements into mind. Cosmetic & general dentistry. We use a holistic approach to healthcare, considering the effects of the treatment on the whole body and taking individual needs and requirements into mind when designing your treatment. We use the latest technology and computer-aided diagnostic techniques in our modern purpose-designed offices, to provide state-of-the-art dental treatment and combine this with an awareness of the structural, biochemical & emotional needs of the individual. We use non-toxic dental materials, and where appropriate we work with other holistic health practitioners to assist you on your journey to exceptional health. OUR SERVICES: Our services cover all aspects of dentistry, with an emphasis on early detection, minimal intervention, TMJ (jaw alignment, bite reconstruction & structural correction), functional orthodontics and cosmetic dentistry. LOCATION: Our offices are very conveniently located in Neutral Bay on Sydney's lower north shore, near major bus and ferry services. HOW WE CAN HELP YOU and YOUR FAMILY: Please look around our website or call us - to find out how Lotus Dental's holistic dentistry practice can help you and your family. Natural and non-toxic oral healthcare products. Toothpaste, toothpowders, mouth rinse, toothbrushes, kids toothbrushes etc .